Contest: Win One of Two Copies of Blood and Glory: The Civil War in Color! Experience the Civil War as you’ve never seen it before with Blood and Glory: The Civil War in Color, arriving on Blu-ray (plus Digital HD) and DVD (plus Digital) on October 6th from Lionsgate Home Entertainment. Blood and Glory: The Civil War in Color commemorates one of the most defining moments in American history, one which tore the nation apart, pitting North against South and brother vs. brother. Over the course of four years, more than 750,000 military and civilian lives were sacrificed to make the United States a more perfect union. Using state-of-the-art technology to colorize 500 rare black-and-white photographs, and unprecedented access to government and private archives, Blood and Glory: The Civil War in Color brings the emotional stories of these brave men vibrantly to life. Enter to win one of two DVD copies! Experience the Civil War as you’ve never seen it before with Blood and Glory: The Civil War in Color, arriving on Blu-ray™ (plus Digital HD) and DVD (plus Digital) on October 6th from Lionsgate Home Entertainment. HISTORY®’s highest-rated historical documentary since The World Wars, the miniseries premiered to over 1.2 million viewers. This thrilling two-part documentary, including over 30 minutes of bonus material, will be available on Blu-ray and DVD for the suggested retail price of $29.99 and $26.98, respectively. Blood and Glory: The Civil War in Color commemorates one of the most defining moments in American history, one which tore the nation apart, pitting North against South and brother vs. brother. Over the course of four years, more than 750,000 military and civilian lives were sacrificed to make the United States a more perfect union. 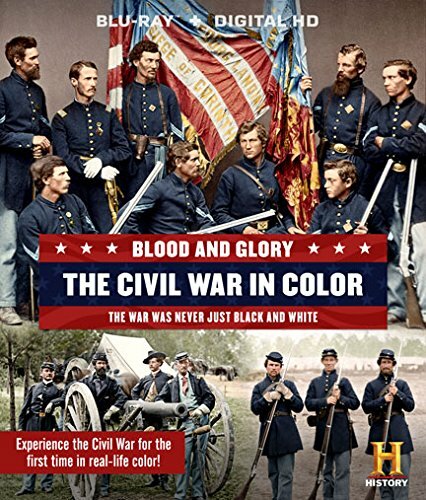 Using state-of-the-art technology to colorize 500 rare black-and-white photographs, and unprecedented access to government and private archives, Blood and Glory: The Civil War in Color brings the emotional stories of these brave men vibrantly to life. Congratulations to Carol and Dave! 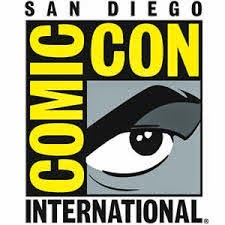 I will be contacting you by email to arrange for your prize to be delivered. Thanks to everyone for entering the contest and for reading the site! Since I had to disqualify Carol due to not getting a response from her, Jonathan has taken her place and won the set. Congratulations Jonathan! I've emailed you to ask for your address so the studio can mail you the set.